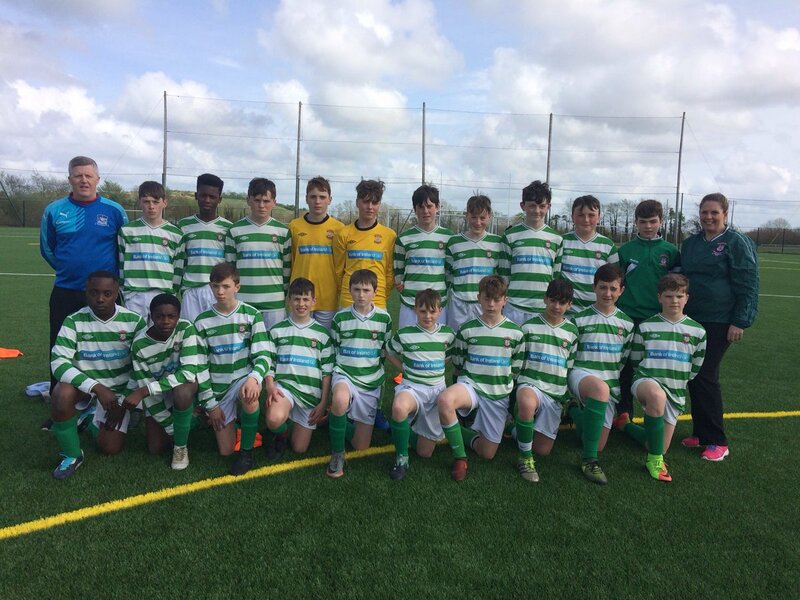 ST. FRANCIS COLLEGE, ROCHESTOWN continue their winning streak in the FAI Schools competitions following their classy First Year Boys National Futsal title earlier in the season while the School also claimed a double in the Dr. Tony O’Neill Senior Cup and Tom Ticher Junior Cup twelve months previous. 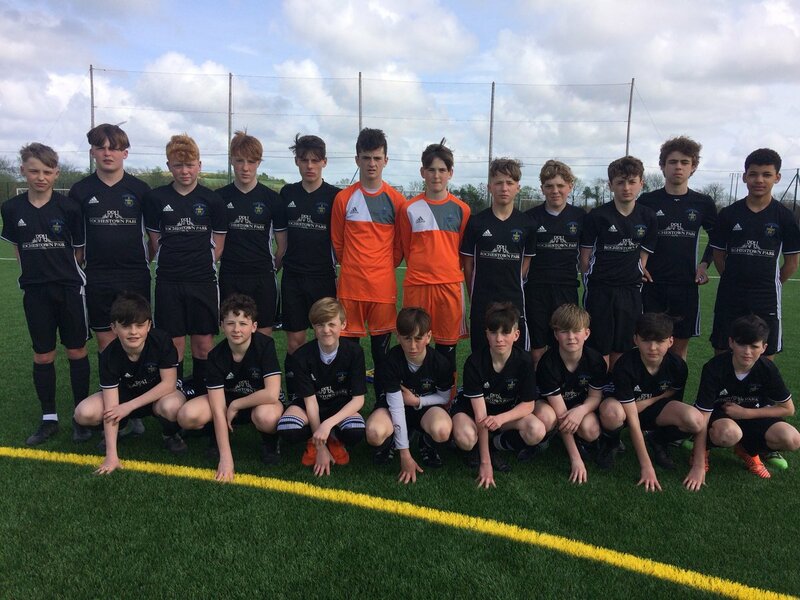 They made little work of Oranmore select, Calasanctius College in the First Year Boys National Cup Semi Final in Ennis last Thursday (April 26) with Harry Nevin securing a fantastic hat-trick for his team. The Connacht Champions got off to a bright start with some lovely passages of play from Ben Costello Stevan Healy and Gavin Smyth. 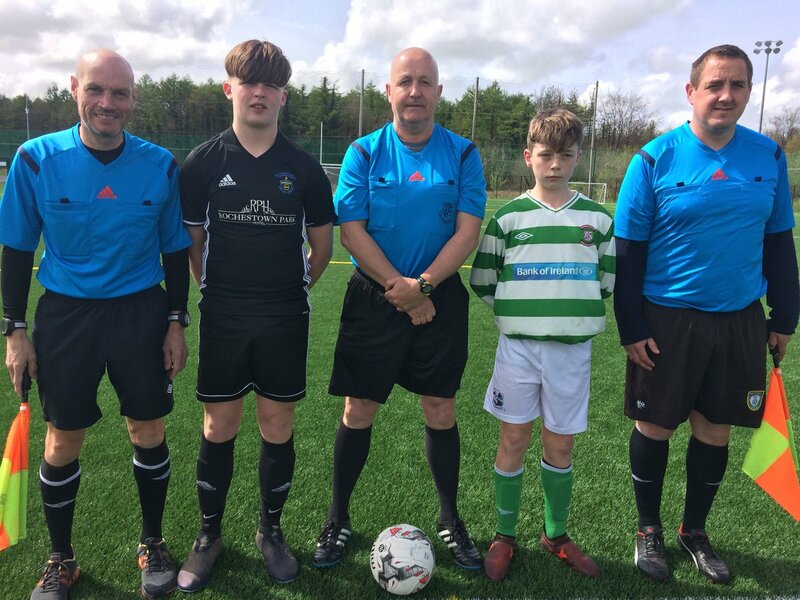 However it was Rochestown that penetrated the Oranmore defence first when Padraig Murphy struck a shot from nothing 20 yards out that landed in Melia’s top corner with 10 minutes on the clock. Their lead was doubled twelve minutes later as Harry Nevin saw his initial strike palmed away by Evin Melia but the rebound feel nicely to Nevin to head home. Nevin however completed his hat-trick just before the hour mark following an excellent individual solo run that save the keeper with no chance.